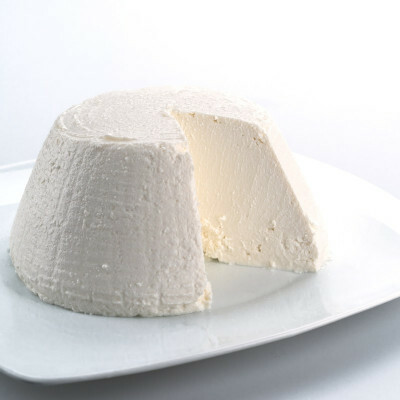 Ricotta's delicate flavour pairs well with both sweet and savoury dishes. Ideal for healthy baking and pasta sauces! Made without any additives, naturally low in fat and rich in proteins, undoubtedly, the best ricotta you’ll ever experience comes straight from the farm - such as this one. 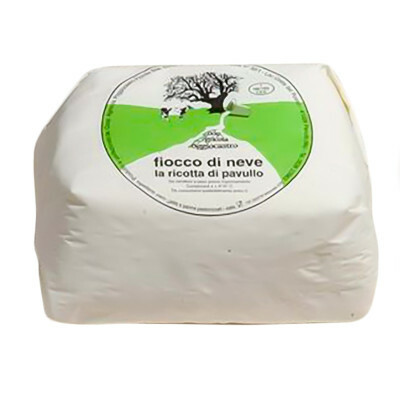 An underrated cheese if ever there was one, this soft, white and delicately sweet ricotta is great on its own, but also marries beautifully with both sweet and savoury dishes. A light, fresh variety whose potential comes through best when it's a supporting actor, its delicate, creamy flavour compliments other ingredients rather than clashing with them, mellowing out strong, robust flavours and lending creaminess to dry foods. From salty cured hams, fresh figs and honey to classic spinach and ricotta ravioli, to ricotta salads, to desserts such as cannoli and Neapolitan pastiera and even pancakes. Serum of cow's milk, cream, salt. Cow's MILK.